Real estate in the country has elevated over the past couple of years in terms of both, residential and commercial projects. While many people are looking out for new homes, many more are looking out for new investments. It is a known fact that non-residential Indians (NRIs) perceive real estate as a good investment stream for their savings. Today, a number of investment schemes and incentives have been introduced by the government in order to offer NRIs better investment opportunities. There are several investment hotspots in the country that many investors are always focused on and ‘Ahmedabad’ is one such hotspot. The real estate market in Ahmedabad is booming today due to a growth in the industrial sector and physical/social infrastructure. No matter where you go, you will surely come across New Residential Projects in Ahmedabad. Here are 5 major reasons why Ahmedabad is an ideal investment destination for NRIs. The proposed bullet train between Mumbai to Ahmedabad will make commuting between Ahmedabad to the economic capital of the country, Mumbai, super-fast and convenient. Good economic growth is something that you can definitely expect at the end of the day. To top it off, the material required for the construction of India’s first bullet train will elevate allied industries and the same will convert into an increase in the demand for warehouses. The introduction of the bullet train will expand a number of possibilities. To start off, it will make way for cheaper housing, industrial units and logistic hubs along the route of the train. This will not only benefit smaller towns and cities, but will also lead to a new level of development. New investment opportunities will soon be seen in the districts of Valsad in Gujarat, Palhgar in Maharashtra and the Union Territory of Daman. As the cost of commercial space in Ahmedabad is comparatively less and this city offers high-end infrastructure along with a good supply of electricity and water, it serves as an attractive option for NRIs when they plan to move back to their home country, India. Ahmedabad offers the incredible craftsmanship of the old and new. You will find beautiful Mughal architecture along with modern-day architecture as well. A beautiful influx of the past and the present is one of the few elements that makes Ahmadabad what it is today, one of the most loved cities in the country. The real estate market in Ahmedabad is booming today and it is safe to say that this city does not only attract investments, but has a good number of investors as well. In fact, the number of companies entering Ahmedabad’s real estate market increases by the day. Residential developments offer Property in Ahmedabad to meet every requirement and taste. 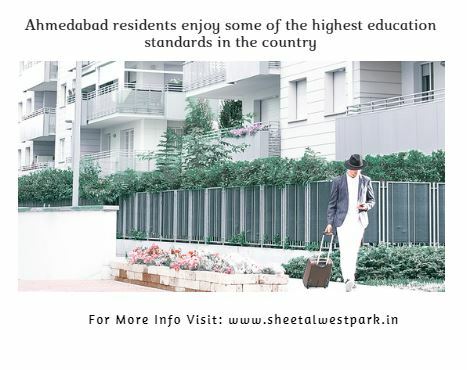 Thus, Ahmedabad is an investor-friendly city. 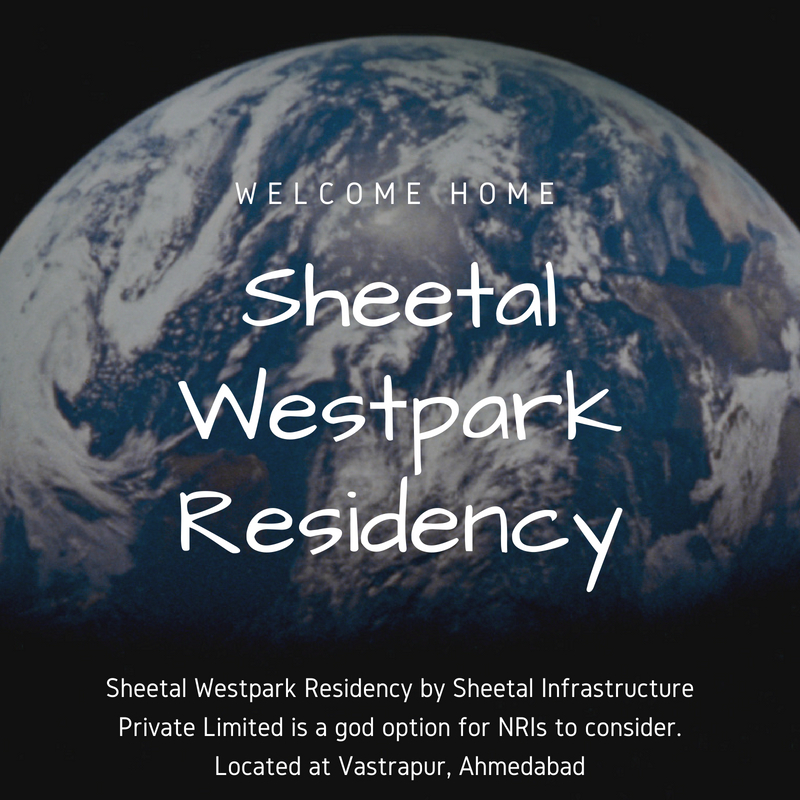 Sheetal Westpark Residency by Sheetal Infrastructure Private Limited is a god option for NRIs to consider. 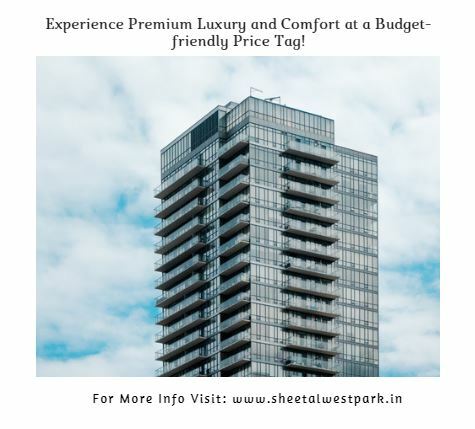 Located at Vastrapur, Sheetal Westpark Residency Vastrapur offers a modern-day living that is truly commendable. With residential spaces starting at a price of Rs.89.55 lakhs only, this development has a lot to look forward to.